ORBERA® is a non-surgical, temporary device designed to boost your current weight loss efforts during the 12-month program. While it isn’t a permanent device, it allows you to learn portion control and develop healthy changes in your eating habits that can last well beyond the 6 month balloon placement. Placement of the balloon generally takes around 20 minutes during which you will be lightly sedated. 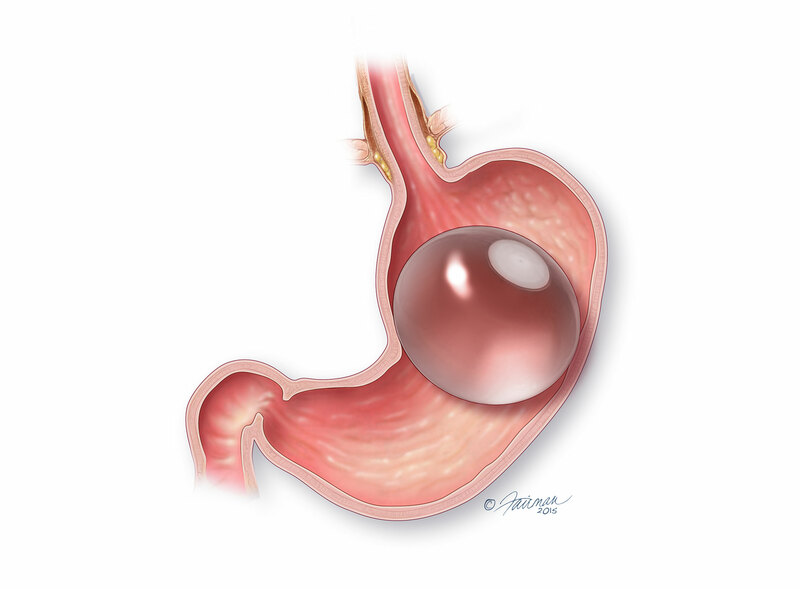 The deflated balloon is inserted into your stomach through your mouth, endoscopically. Immediately after the balloon is placed and filled with sterile salt water, you will regain complete awareness and remain in the clinic for observation until the doctor discharges you. The ORBERA® balloon is removed through the mouth in a similar manner, under the same supervised conditions. ORBERA® is indicated for a BMI of 27 and above. 1. Courcoulas, A, Abu Dayyeh, BK, Eaton, L, Robinson, J, Woodman, G, Fusco, M, Shayani, V, Billy, H, Pambianco, D & Gostout, C2017, ‘Intragastric balloon as an adjunct to lifestyle intervention: A randomized controlled trial’ International Journal of Obesity, vol 41, no. 3, pp. 427-433.